Combining amazing engineering with the latest technology, Fujitsu presents the LifeBook UH900, delivering unprecedented mobility with complete PC performance capabilities and multi-touch feature. Featuring a 5.6-inch vivid glare screen and estimated to be the size of a long wallet, the 20.4cm x 10.65cm x 2.38cm ultra lightweight LifeBook UH900 has an unrivalled sleek design which can be easily slotted into a clutch bag or a pocket! With full wireless communications capabilities and also a 3.5G configuration, the LifeBook UH900 charts the epitome of ultraportables with full-featured PC performance. Reminds me of the Sony Vaio P series, except that this device features a touch screen. I'm sure this one's going to be expensive! I'm guessing that this will be replacing the existing U or U800 series (U810, U820, etc.). 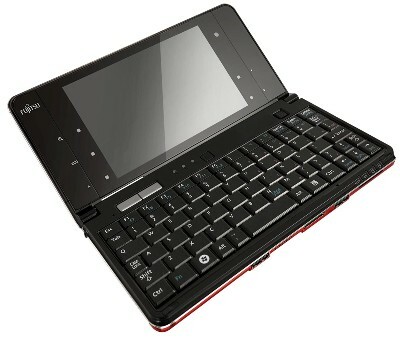 I wish that the screen on the UH900 could flip all the way back or swivel like a convertible tablet PC. That was a feature found on the U800 series.